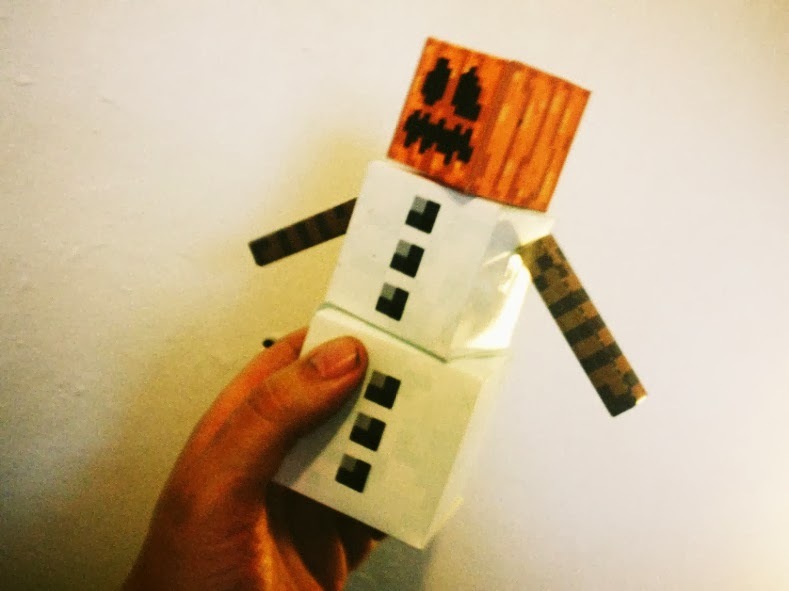 Create your own Minecraft Snow Golem with these printable papercraft templates, just in time for Christmas. The snow golem/snowman comes with a choice of two heads. Left click the templates below to bring up a new window with full size A4 image, save as and print. Also available in PDF format for easy printing. Minecraft snow golem printable PDF templates one, two and three. How to create your own Minecraft snow golem/snowman? 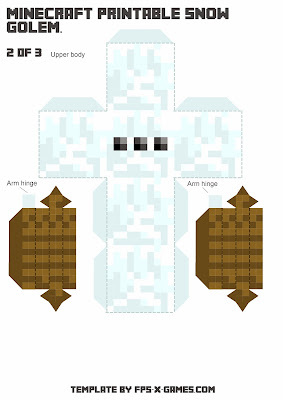 If you need more help creating your very own snow golem/snowman then please leave a comment bellow or use our forums. This website is absolutely AMAZING! I can just imagine how much work you do to make these templates to keep the website up and running! I really just want to say...THANK YOU! 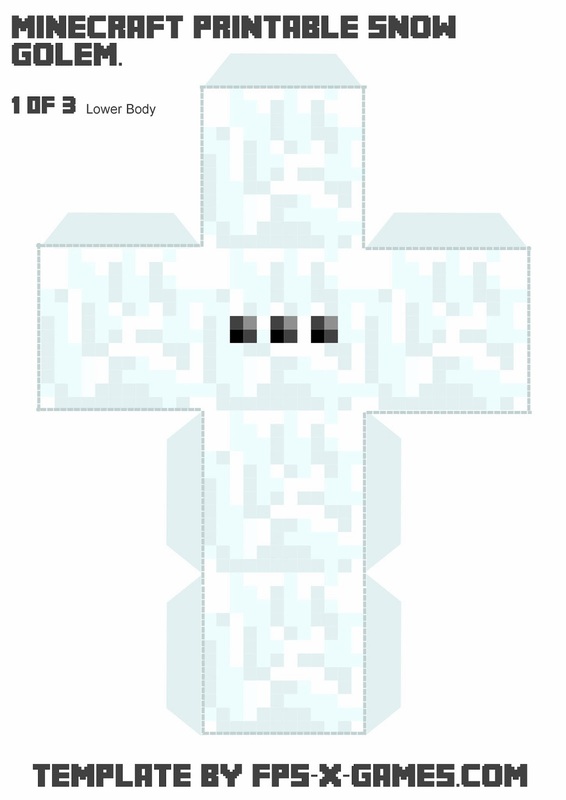 We love the templates everything is perfect! Your templates are awesome! 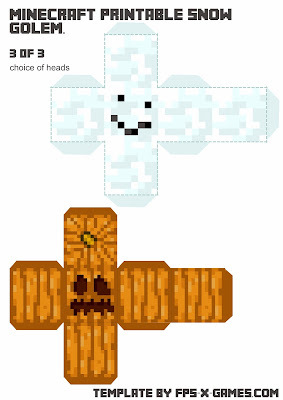 I'm having a minecraft themed birthday party, and I'm using these to make some decorations and most of my costume. 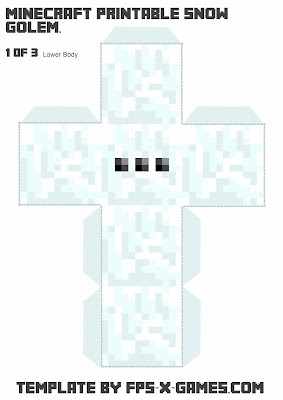 Thanks, be sure to searchMinecraft Party on site, there are loads of ideas. Have a good one.